and that is flanked by two trillion cut diamonds. 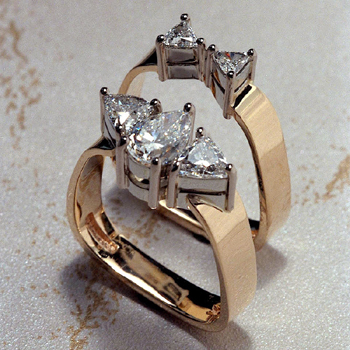 The wedding band has two trillion diamonds that fit together with the engagement ring. Three diamonds for your past, present & future.